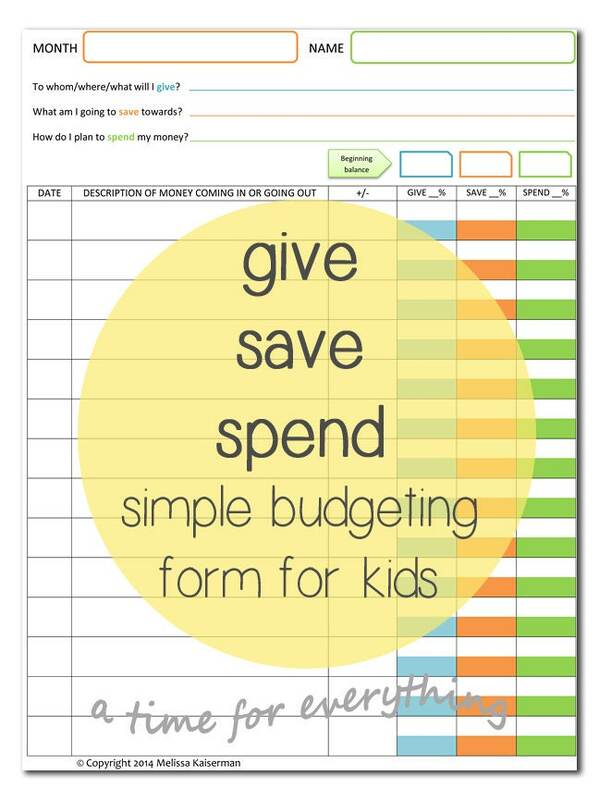 This kids budget printable is a simple and organized way for children to write down their monthly give, save, and spend goals as well as track their income and how they're using the money they earn. The PDF will be available for immediate download as soon as your payment has processed. Print at home on 8.5 x 11 paper as many times as you need for as many kids as you have! The second image shows an example of the form in use. Sales on downloadable products are final. © Copyright 2014-2017 Melissa Kaiserman. This digital file may not be copied, shared, sold, or otherwise distributed in any form. I ordered this and a few other items from ATime4Everything. We love them all!!! The customer service was spot on. The products are as stated! I couldn’t say more positive things than if you’re thinking about starting a budget for your kids, GET THESE!!!! After ordering this colorful PDF financial sheet, I printed it double-sided and tried my hand and book making for an 8 year old. Low expectations lol, but it worked out and she was pleased! 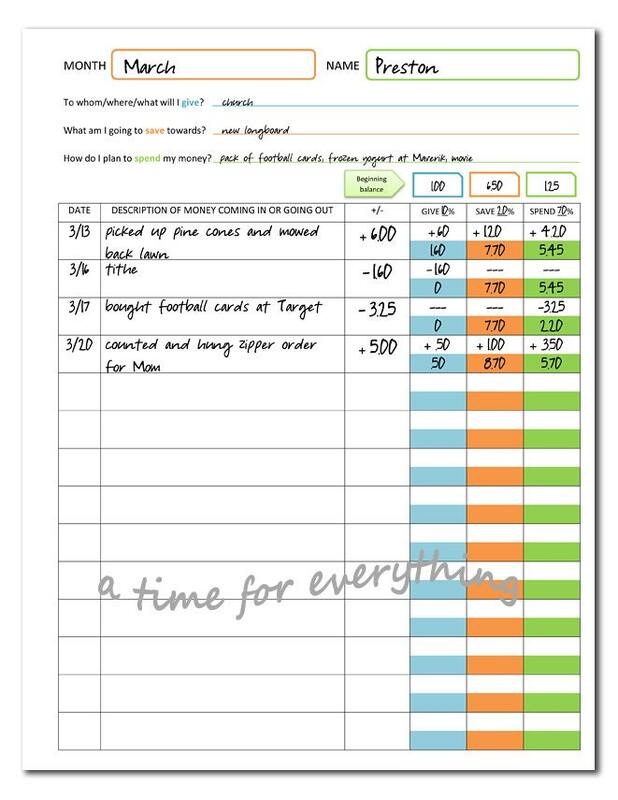 I love this form and intend to use it to guide my own children when they're older. Thank you for taking the time to make and share your talents with us!